In my opinion as a strength and conditioning coach, the sandbag is the most underrated bit of kit for some key training reasons. You can complete hundreds of movement combinations, it recruits nearly every muscle in your body, and it’s universally scalable – no matter what weight or size you are, you can adjust the sangbag weight to your fitness level. And so what if your gym doesn’t have a traditional sand bag? It’s literally a bag filled with sand… make one! Training with a sand bag sounds basic, which is why it’s so underrated and often overlooked in solid programming. However along with the classic sand bag ground to shoulder, you can squat, bench press, deadlift, overhead press, lunge , bicep curl, weighted walk, weighted run..the list goes on. The basic sandbag ‘ground-to-over-shoulder’ is a classic and go-to move when using the sandbag that engages all major muscle groups. 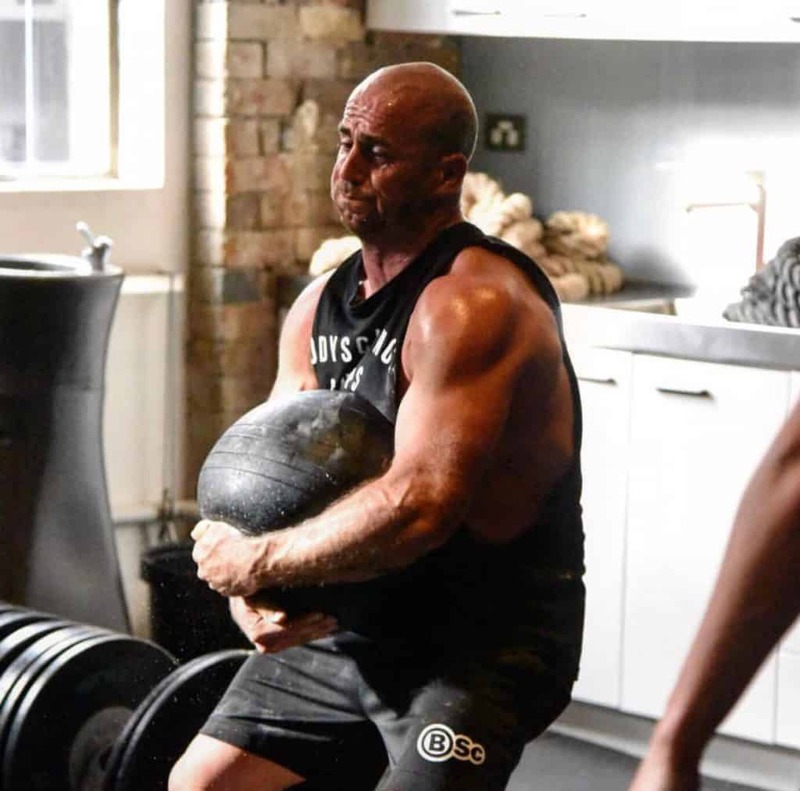 When done correctly, the sandbag ground-to-over-shoulder recruits your entire posterior chain building strength in your hammys, glutes and spinal erectors, also giving your biceps and abs a great deal of work as well. The movement is also effective in increasing coordination for contralateral movements and building stability against trunk rotation. When included in larger workouts (like the one below), a simple ground-to-over-shoulder [GTS] can also aid in your conditioning through the quadruped movement pattern. Before digging into the workout, take not of these points of performance to perform an effective ground-to-over-shoulder, and prevent injury. Scoop the ball up into your lap from here take another deep breath, squeeze your core and use your hips to throw ball over your shoulder. Give this sandbag workout a red hot crack to hit every muscle worth hitting. In 20 mins complete as many rounds as possible.